Black Friday Specials – ALL WEEK! 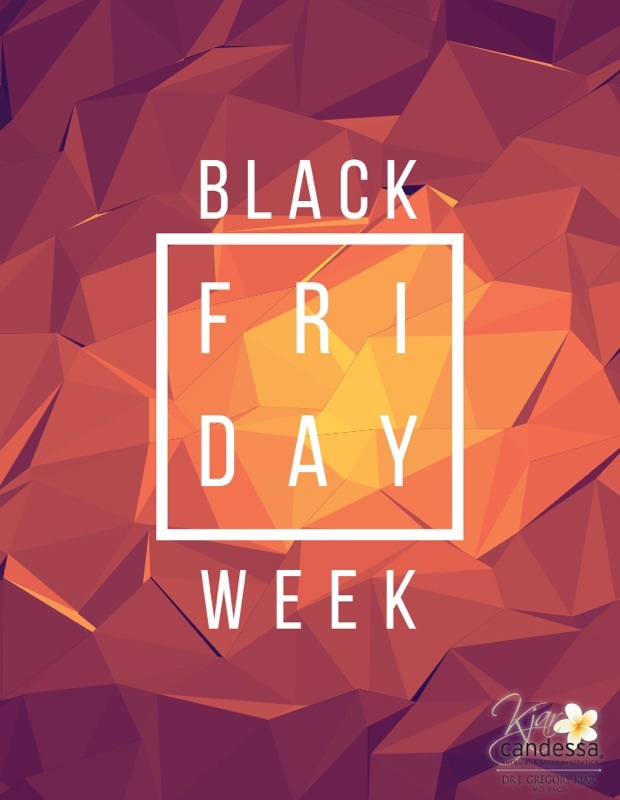 Home / Black Friday / Black Friday Specials – ALL WEEK! Take advantage of the best specials you’ll see all year long! *BOGO FREE Laser Hair Removal packages. *BOGO FREE Candessa Peels (Illume Peel & Ultra Brightening Peel) & Venus Viva treatments. *Save 25%-40% on our Online Store.